Impact • Rural communities say benefits aren't linked to "the bottom line." A dinosaur exhibit at Utah Field House of Natural History. Courtesy of Utah State Parks and Recreation. 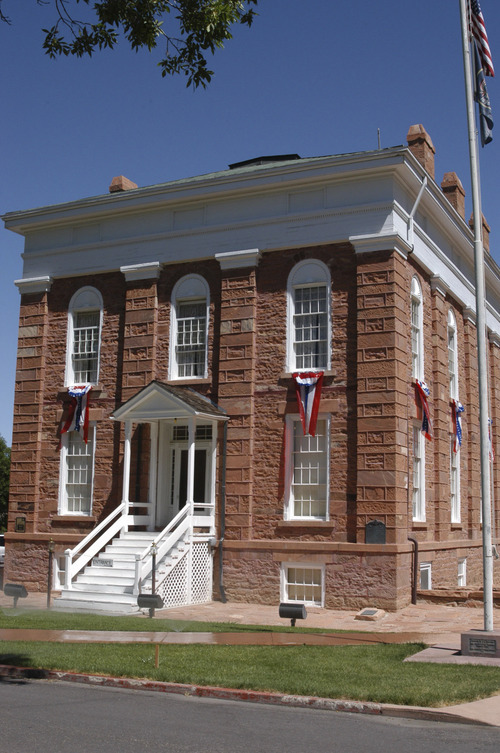 The Old Territorial Statehouse in Fillmore was Utah's first capitol building and first state park. Tribune file photo Al Hartmann | Tribune file photo Edge of the Cedars State Park in Blanding. As news of the possible closure of five Utah state parks trickled down to communities that rely on them for employment, tourism dollars and recreation, employees were in tears and residents tried to grapple with losing facilities they hold dear. "We're crying," said Valerie Newland, a seasonal worker at Green River State Park's golf course, which joined Blanding's Edge of the Cedars, Vernal's Utah Field House Museum, Fillmore's Territorial Statehouse and Cedar City's Frontier Homestead on a legislative audit's list of money-losing facilities that should be closed. "There are 850 people in this town, and the course provides a few nice little jobs. For six or eight families, this is going to wipe us out. We rely on this." On Utah's Capitol Hill on Wednesday, the Legislative Fiscal Analysts Office suggested that lawmakers adopt the audit recommendations for$3 million in savings. But in the affected communities, there was outrage. "When people with money in a society stop being willing to pay for social programs such as education, health and beautification, that is, to me, when society starts falling apart," said Monticello resident Susan Taylor, who isn't happy about San Juan County potentially losing Edge of the Cedars State Park. "That's what I see happening when they do this. I find it baffling that we are so willing to look at the bottom line without any other considerations." Those considerations are magnified in rural Utah. Tyler Bastian, a custodian at Green River's Book Cliffs Elementary School and president of the Green River men's golf league, said the course fills a void in a town where recreational opportunities are hard to find. "The local guys work hard in low-paying jobs, and once every Wednesday, we all show up at the golf course," he said. "It's time away from work to have fun. There is not a whole lot to do in Green River." "It's my life," said Arden Sherrill, who returned to his native Green River largely because the course was available. "I like to play it every day. This is the best-kept secret in the state. ... Regardless of what it takes to keep it subsidized, it is important that it stays open to the town of Green River." State auditors said that taxpayers subsidize each round of golf played at the course by $66.24. But Mike McCandless, economic-development director and chairman of the travel bureau for Emery County, disputes that number. He points to a part of the report that said expenditures at Green River State Park exceeded revenues by $562,000 in 2010. While conceding the course does lose money, he said that Green River State Park and the golf course combined only have an annual budget of $535,000. "There are some funky numbers there," he said. McCandless said the state spends $301,500 annually to operate the golf course, which generates $71,315 in revenue. Green River Councilman Keith Brady said that though the golf course is important to residents and tourism, the city can't afford to operate the course on its own. Four parks on the chopping block are museums, which seldom make money and almost always need government help. Charlie DeLorme, director of economic development and visitor services in San Juan County, called closing Edge of the Cedars "absolutely ludicrous." 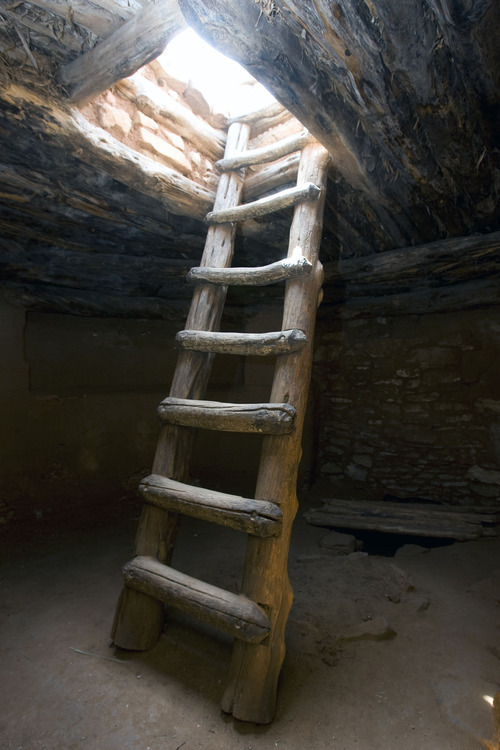 He argues that the museum is the largest federal repository of Ancestral Puebloan artifacts in the Four Corners region and may become even bigger after the fallout after the raids of private citizens holding artifacts in the area in 2009. He points out that federal funds help pay for some of the operations. Other city and tourist officials facing park closures expressed great concern. "It would be devastating for Fillmore to lose that park," Fillmore Mayor Eugene Lar-sen said of Territorial Statehouse, which was among the first state parks designated in 1957. "It is a good tourist attraction and a huge part of the area's heritage. It is premature to know what could be done as far as the city or county keeping it open." 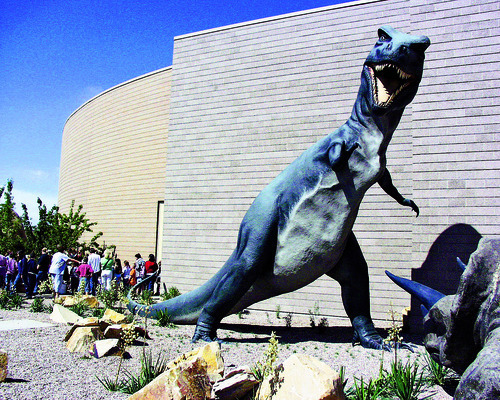 Nikki Farmer, director of Uintah County Travel and Tourism, said Utah Field House Museum and the nearby Dinosaur National Monument quarry  scheduled to reopen later this year  are among the main reasons people visit Vernal. Cedar City Manager Ron Chandler called Frontier Heritage State Park a great asset to the city and said it is a big part of the town's tourism marketing budget. But he questions whether Cedar City or Iron County could afford to take it over. In 2003, the state turned over operations of three of its parks to local government. The city of Ogden now operates Fort Buenaventura; Salt Lake City runs a par-3 golf course on the Jordan River; and Beaver County maintains a campground and park facility at Minersville Reservoir. Beaver County Commissioner Mark Whitney said that because the Minersville park was located on land leased from the federal Bureau of Land Management, the state was almost required to rip it out  until the county stepped in. Whitney said the park has been good for the residents of the county. But he worries other cities and counties might not have the cash to keep other parks open. "When the state gets a cold, the counties get pneumonia," he said. "I hope they don't shoot other cities and counties that may not be able to acquire those parks." Shopping • Edge of the Cedars hosted 11,981 people in 2009. San Juan County's population is 15,643. More than 75 percent of museum visitors indicated they made travel-related purchases in Blanding as part of their visit. Jobs • It is estimated that those 11,981 visitors created approximately $396,000 in local wages. The park employs four full-time workers, one part-time permanent worker and two seasonal workers. Artifacts • Edge of the Cedars received contributions for curatorship of artifacts from Indian tribes and the federal government totaling more than $100,000 last year. Visitors • Visitation to the park was up 4.1 percent in 2010. Between 60 and 70 percent of visitors come from out of state, with foreign visitors making up 11 percent of numbers in 2009 and 7 percent in 2010. Taxes • In 2009, the city of Blanding received $7,395 in sales and use taxes from park operations. The park also paid $84,065 in utilities costs to the city. Culture • The park provided 42 public programs and special tours for schools and Boy Scout troops as well as programs, lectures and special exhibits, all of which are free to the public. It is a repository for archaeological collections from San Juan County, so they don't have to be sent outside the county for permanent care. Grants • Edge of the Cedars staff members write numerous grants every year to fund free public programs and exhibits, as well as for costs associated with curatorship of artifacts and research.